Mass Mayhem is back with a new shooting action game. Destroy everyone on your way! Complete missions, buy upgrades and guns. Are you ready for Mass Mayhem? 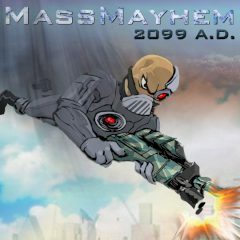 Games Similar Mass Mayhem 2099 A.D.